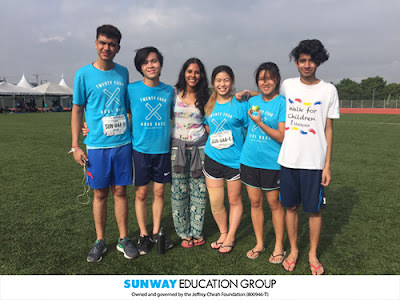 On the day of the event, each member ran as many laps as they could and it was certainly a challenge with the blazing sun above us. 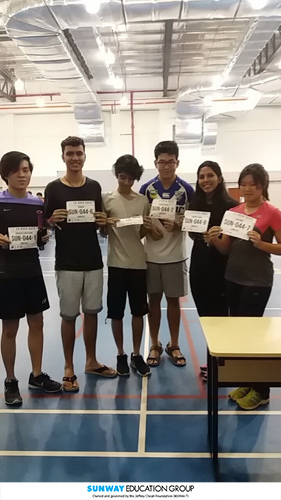 Each lap was approximately a distance of 900 metres and was located on the IGB track and field. Tents for teams were provided and food for 3 meals was given as part of the registration fees. The event held a total of 110 teams from all over schools in Malaysia. It was an estimated of 1000 runners and all there for the benevolent cause! During the night, each member would take shifts of half an hour to an hour whilst the others slept and we rotated the shifts equally so every runner ran around the same number of laps. Our best runner, Marian Yeow had run an estimate of 50 laps all on her own by the end of the race. 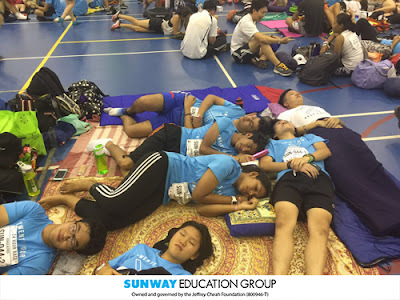 By the end of the race, each member was sleep deprived, sore and beyond exhaustion but we felt accomplished because, this was the most challenging thing we had ever done. Our team worked very well together and we had no issues in splitting the efforts we all put in prior to and during the race. 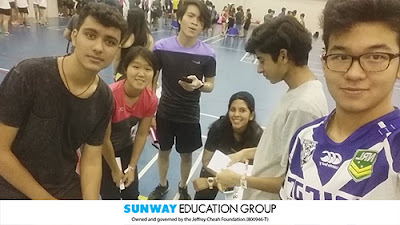 Certificates, gift bags and prizes were given to teams and miraculously, our team ran a total of 220 laps in the 24 hours continuously and were placed 28th out of 110 teams! It was a pleasant surprise and made the pain, struggle and exhaustion all worth it in the end. We hope that the race continues on and helps end the enormous numbers of people trafficked around the world and forced into slavery. The race would not have been possible without the support and encouragement of the CIMP management team, CIMP Student council for giving up their time and effort to aid us in our fundraisers and to the teachers who came to watch and motivated us to keep going during the race.